Dr. Robert Schenck is no ordinary man. As the president of the National Clergy Council he is a pastor of pastors. About 3000 of them. He also heads the Evangelical Church Alliance. And as the founder of Faith and Action he has been deeply involved in the pro-life movement and is currently serving as pastor and missionary to Capitol Hill and the Federal government. Rob wields a large influence. As he himself puts it, he is a self-declared conservative who hangs out with Republicans, presidential nominees, and Tea Party celebrities. But there’s something rather odd about Rob. Of recent he’s been acting outside his conservative paradigm and many of his colleagues have become upset with him. He’s lost friends and funding for his organization. A documentary has been made, called “Armor of Light,” directed by Abigail Disney, about how Rob Schenck has left the beaten path of American conservatism to embark on a mission in gun land. Faced at one point with the horrors of a mass-shooting virtually in his own backyard, Rob started to re-evaluate the accepted viewpoint of many of his fellow evangelicals about gun control and 2nd Amendment rights. HelloChristian spoke with Robert about this journey of faith from the cherished privilege of gun possession to the acknowledgment of its devastating consequences on the street. A pro-life activist who applied his pro-life conviction to the problem of gun control. I carried doubt about the American infatuation with guns for a long time but I did not dare admit it myself because in my circle, it is considered a form of heresy. Anyone watching the documentary about your willingness to hear the call of conscience will be moved. There is almost a certain sadness as you gain new friends but lose old ones and are ostracized for standing up for the truth. Was it all worth it? You started off being in favor of gun possession. You were deeply involved in the pro-life movement. The movie narrates how your views changed. How did that happen and what made you change? That is shocking indeed! But perhaps not surprising. In the movie I see you walking the exhibition floor of the NRA convention. Not one black person in sight! in the movie you yourself say at one point that the racial dimension of this subject is the giant elephant in the room that must be addressed. Could you please address the elephant? It is a certain form of idolatry, or even better, neopaganism. It’s like an earthbound religion that looks to politics for ultimate salvation. What is wrong with the way Christians cling to their Second Amendment Rights? In the movie you call this a Faustian pact. In the movie a father whose son is shot desperately wonders: “Where the hell is the clergy on this?” So, let me ask the same question: Where the hell is the clergy? Fear had possessed many Christians and this is what I call in my evangelical colloquialism ‘backsliding.’ It is a falling away from the faith. It’s a spiritual crisis and it’s exhibited in the number of guns Christians are buying and the ammunition they are stockpiling. 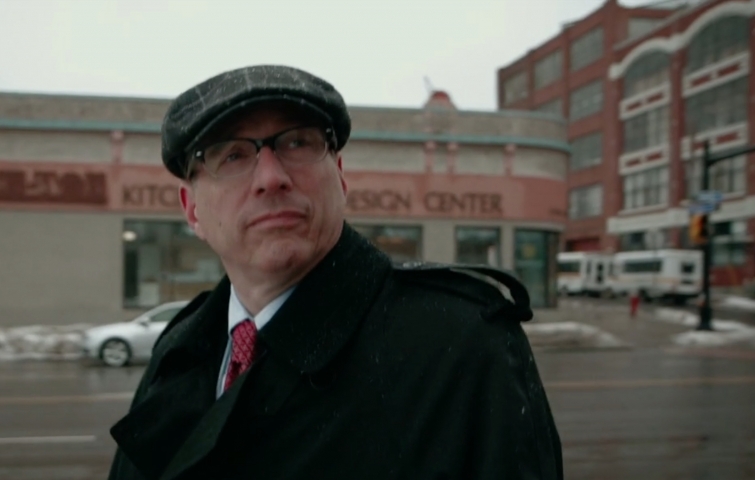 There is a subtle pensiveness in the documentary and in how the camera portrays Rob Schenck. He visits places and memories as well as things lost. A wonderful tapestry is woven in which Rob’s past experience combines with the unchartered territory of his mission into gun-land. He travels mostly alone, prays alone, wrestles alone. He visits friends that will become his adversaries. He finds himself ostracized. Yet, he finds new friends among those fighting for social justice. Where is Dr. Rob Schenck headed? 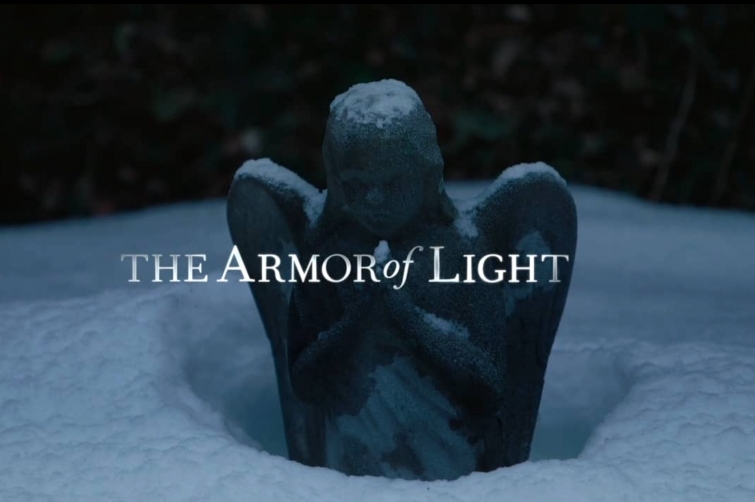 Information about the movie "The Armor of Light" and screening dates here.